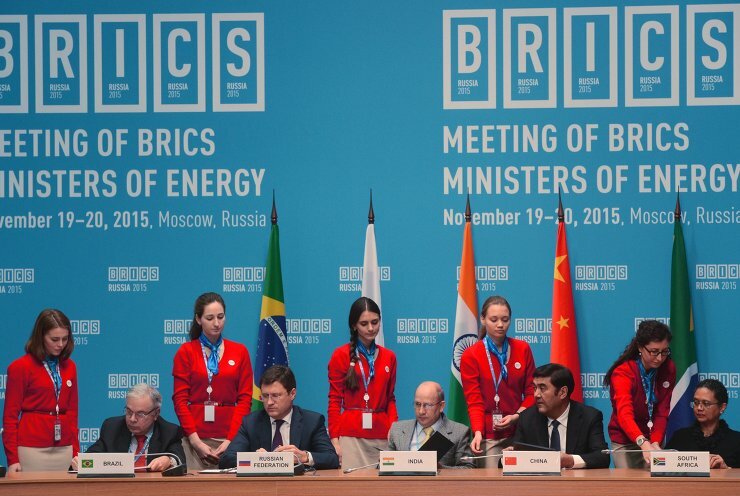 The Meeting of the BRICS Ministers of Energy. 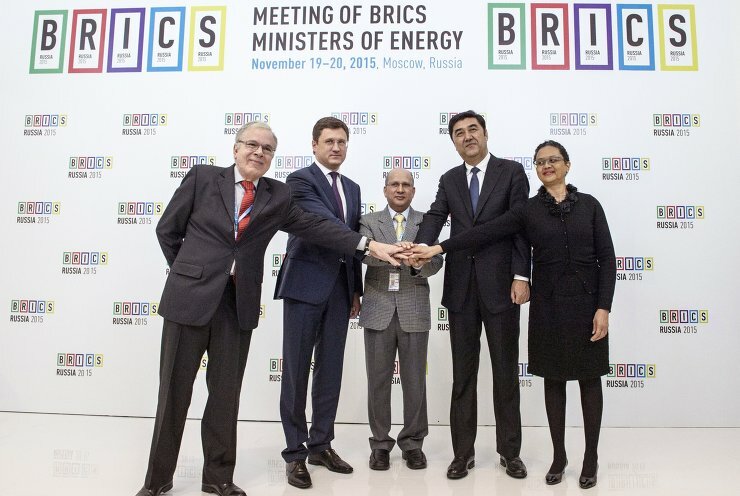 From left: Brazilian Ambassador to Russia Antonio José Vallim Guerreiro; Russian Energy Minister Alexander Novak; Bhagwati Prasad Pandey, India's Additional Secretary Ministry of Power; Nur Bekri, Director of the National Energy Administration of the People's Republic of China, and Tina Joemat-Pettersson, Minister of Energy of the South African Republic, at the Meeting of the BRICS Ministers of Energy. 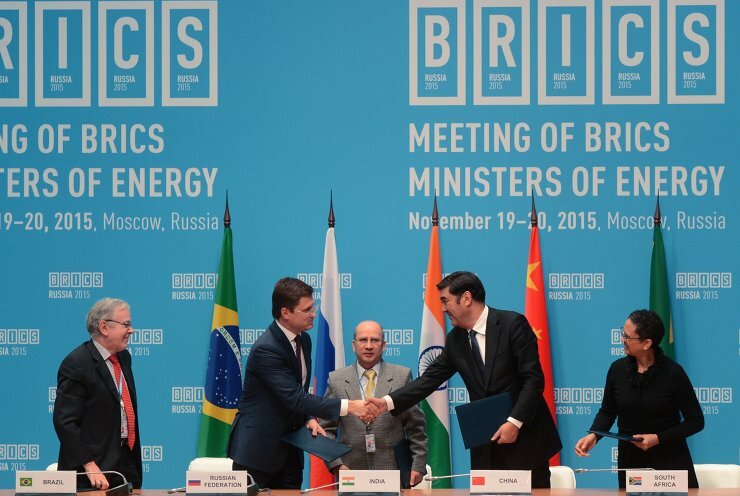 From left: Antonio José Vallim Guerreiro, Ambassador Extraordinary and Plenipotentiary of Brazil to Russia; Russian Energy Minister Alexander Novak; Bhagwati Prasad Pandey, India's Additional Secretary Ministry of Power; Nur Bekri, Director of the National Energy Administration of the People's Republic of China, and Tina Joemat-Pettersson, Minister of Energy of the South African Republic, at the Meeting of the BRICS Ministers of Energy. 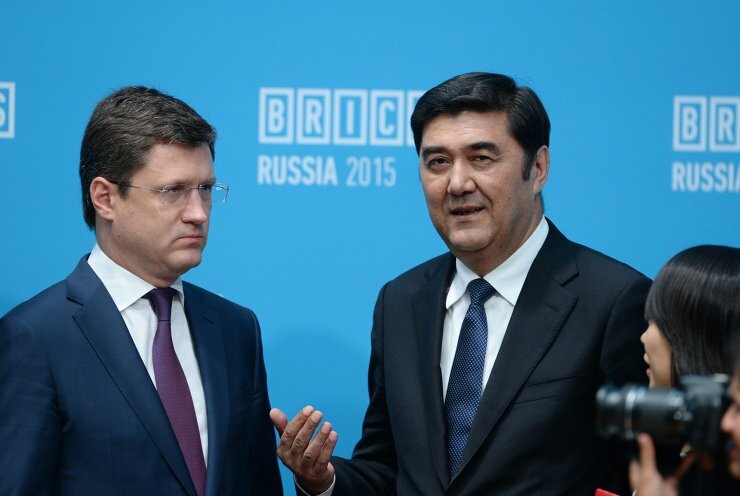 Russian Energy Minister Alexander Novak (left) and Nur Bekri, Director of the National Energy Administration of the People's Republic of China, at the Meeting of the BRICS Ministers of Energy. 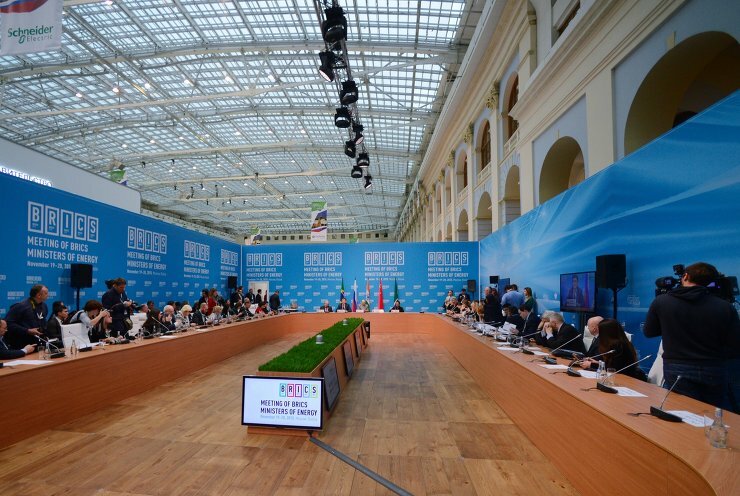 Participants in the Meeting of the BRICS Ministers of Energy. 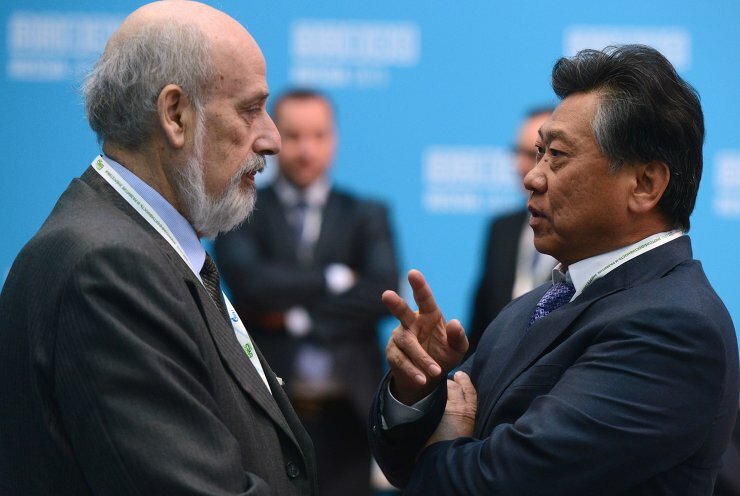 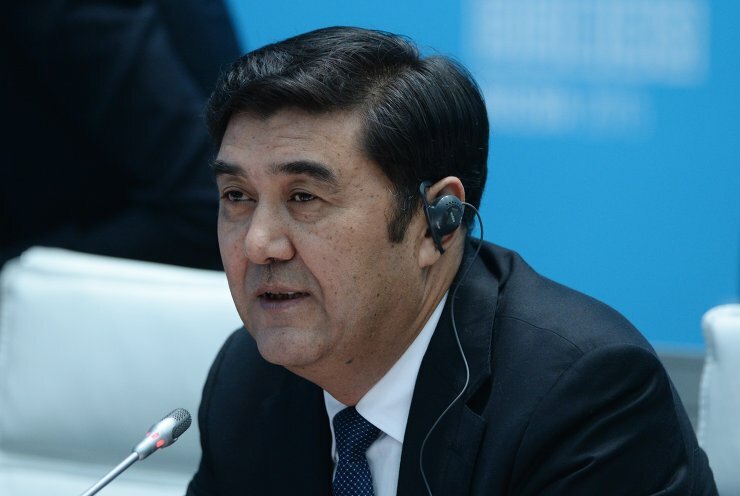 Nur Bekri, Director of the National Energy Administration of the People's Republic of China, at the Meeting of the BRICS Ministers of Energy. 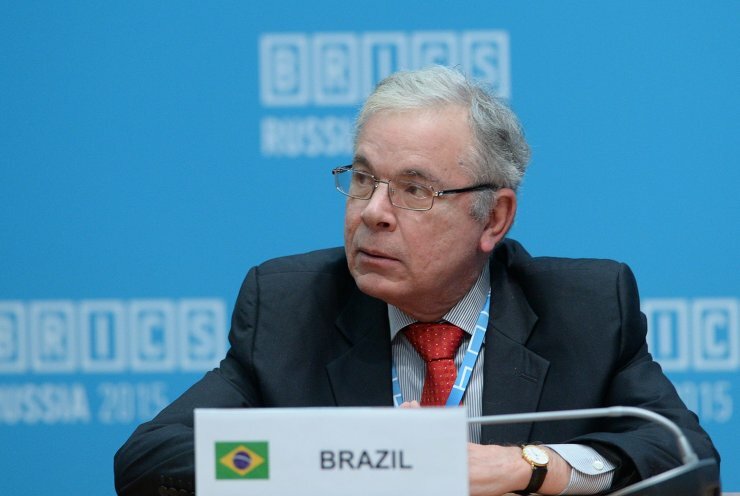 Antonio José Vallim Guerreiro, Ambassador Extraordinary and Plenipotentiary of Brazil to Russia, at the Meeting of the BRICS Ministers of Energy. 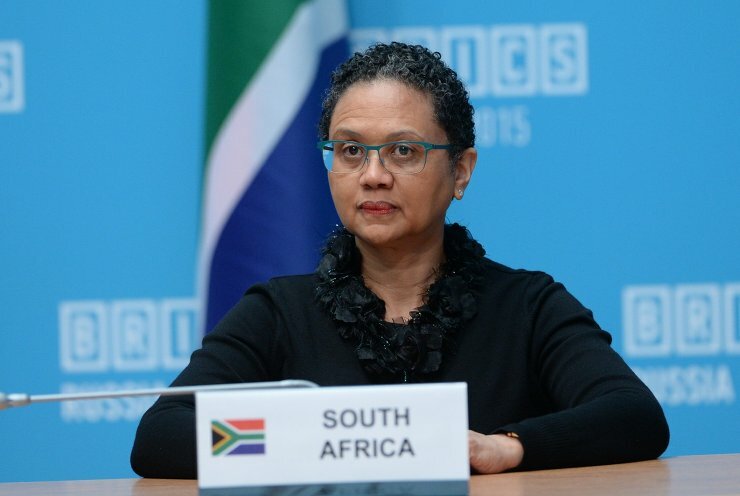 Tina Joemat-Pettersson, Minister of Energy of the South African Republic, at the Meeting of the BRICS Ministers of Energy. 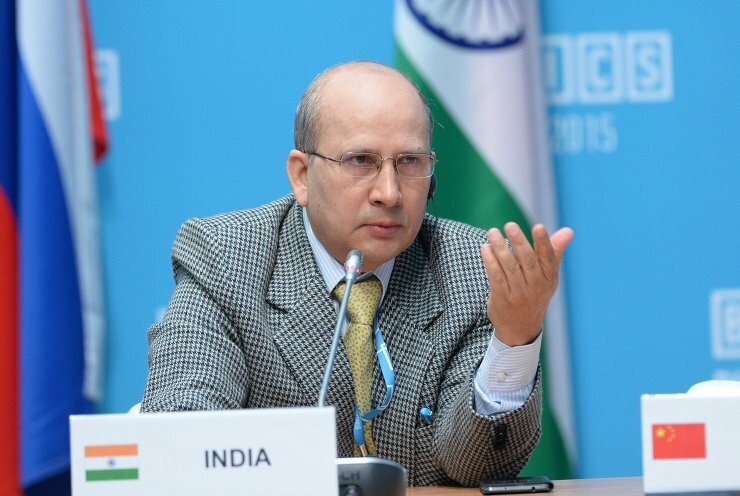 Bhagwati Prasad Pandey, India's Additional Secretary Ministry of Power, at the Meeting of the BRICS Ministers of Energy. 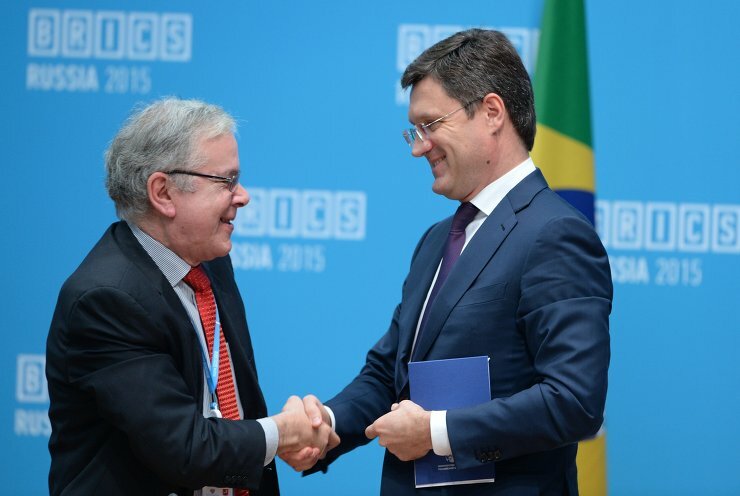 Antonio José Vallim Guerreiro, Ambassador of Brazil to Russia (left), and Russian Energy Minister Alexander Novak at the Meeting of the BRICS Ministers of Energy. 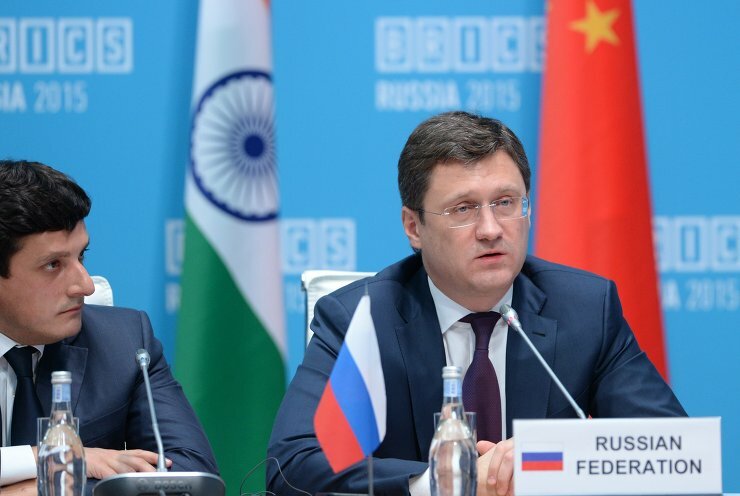 Russian Energy Minister Alexander Novak (right) at the Meeting of the BRICS Ministers of Energy.